makanmaniacs.com - It's all about food! 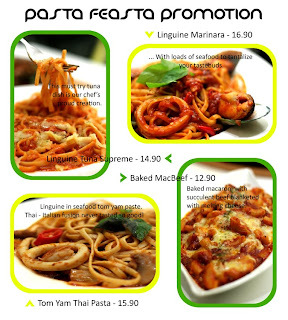 : Citrus Pasta Fiesta Promo! Having some Italian fever? Have a try on the new menu presented to you by Citrus! thank u for the info, now i know where is citrus, unfortunately another non halal, but the food there just look so delicious! Ok, sure, i will keep ur email and will email soon.